Bobâ€™s Red Mill, Flour, Coarse Grind Cornmeal Makes For A Memorable And Satisfying Experience. This Product Is Full Of Wholesome Goodness And Irresistible Flavor. 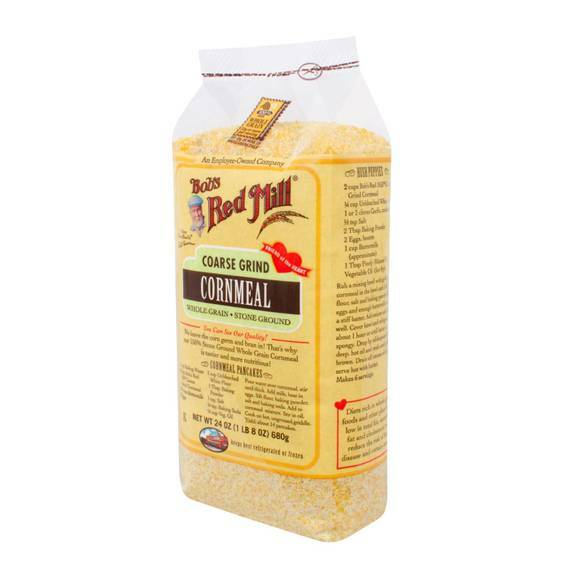 Bobâ€™s Red Mill, Flour, Coarse Grind Cornmeal Is Easy To Use And Makes Baking Simple. Each Â¼ Cup Serving Contains Only 110 Calories And Every Bag Of Bobâ€™s Red Mill, Flour, Coarse Grind Cornmeal Holds 24 Oz. Of Product. Please See Nutritional Facts Panel For Allergens. Bobâ€™s Red Mill Products Labeled Gluten-free Are Batch Tested In A Quality Control Laboratory And Use An Elisa Gluten Assay Test To Confirm That A Product Is Gluten-free.